Our dairy goats receive a lot of TLC as animal welfare is very important to us. 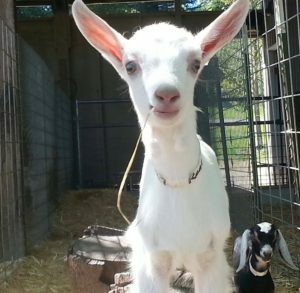 The Redwood Hill Farm dairy goat herd enjoys a high standard of health. We have a comprehensive vaccination and worming program. Kids are given the CD-T vaccination at 5, 10,and 20 weeks, then yearly 30 days before due date. In addition we vaccinate for pneumonia and chlamydia. We worm our dairy goats two times as kids and yearly after that with both an oral Panacur after freshening and a pour on Eprenix at dry off. We test for CAE annually and separate any CAE positive animals with the suggested 6 ft. between fence lines. We milk all positive animals last and use protective measures when vaccinating and doing general goat care. We are CL free. In order to insure that all of Redwood Hill Farm goat kids reach their full genetic potential, we attend every kidding and take precautions to make sure that the kids are unable to nurse. Kids are removed immediately from their dams, and raised in a separate facility where they stay until they are sold or moved to the main facility to be kept in our breeding program. 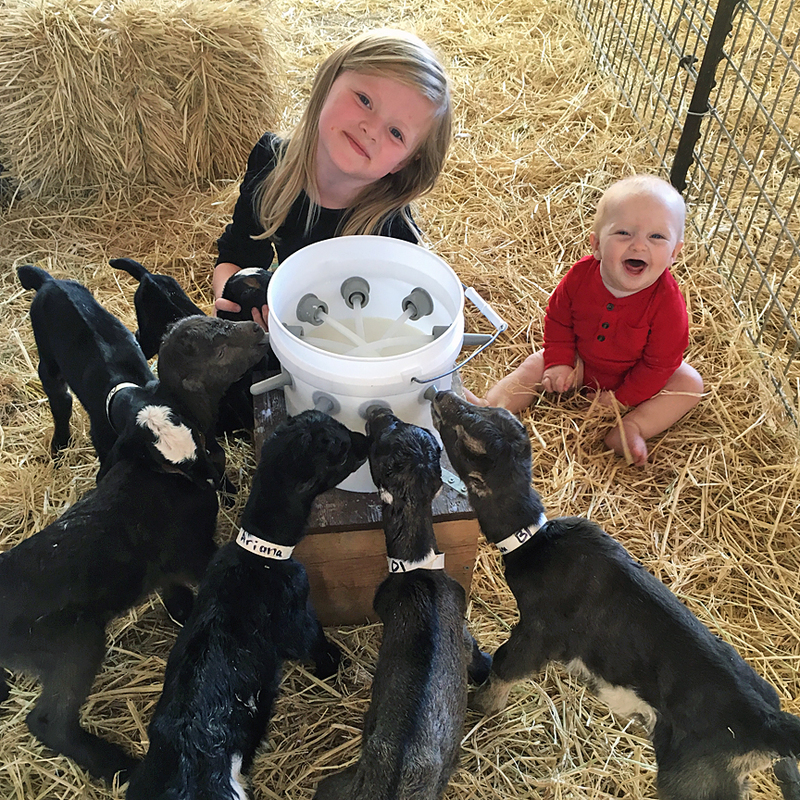 They are fed heat treated goat colostrum, pasteurized goat milk, and yogurt until weaning. Alfalfa hay is offered free choice from 2 weeks old, and molasses grain with a Deccox pellet is offered starting at 5 weeks. Our kids are given preventative Deccox powder in their milk starting at 2 weeks old to prevent coccidiosis. Unless your herd (or source of kid milk) can be verified to be CAE free, we strongly urge you to continue your kid on a pasteurized milk program. If you prefer, we can raise your kid until weaning for you. We charge $250 for this service.